Arvada Area Green Heating & Cooling Experts. Go Green & Save Big! The environment is the legacy we will pass on to future generations. We believe it is our duty to do everything we can to preserve it. That's why we have chosen to be forward-thinking in our approach to HVAC services. We are proud to practice energy efficiency and ecological responsibility, and to educate our customers about the many benefits of a green approach. Schedule Your HVAC Appointment Today! 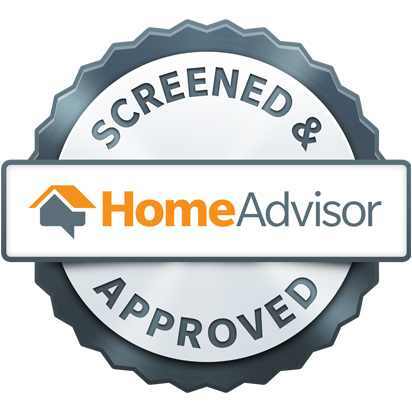 Our team cares about providing you with only the very best in HVAC products. Learn more about the excellent manufacturers we partner with and the products they provide. We provide a full range of HVAC services, including installations, repairs, and energy efficient upgrades for homes. From duct cleaning to tankless water heater installations, you can trust that we'll get it done right the first time. We are proud to provide premium commercial HVAC services. If your business is in need of HVAC repairs, installation or maintenance, contact our team or learn more here about available services. 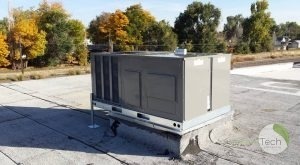 Our HVAC company is located in Arvada, but we provide HVAC service to many surrounding communities. Learn about the cities we serve here, or contact us to see if we provide service to your area. Your Heating and Air Conditioning Company in Brighton, CO. Looking for high-quality and affordable heating and cooling services for your home or business? Green Tech Heating & Cooling is the company to call! 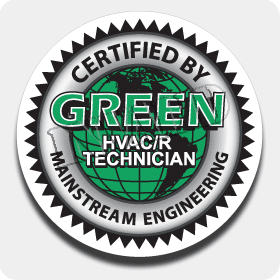 Green Tech Heating & Cooling is a heating and air conditioning company in Brighton, CO that is able to provide reliable and effective services for your residential or commercial HVAC system. Whether you need repairs for your home’s air conditioner or you need to replace your business’s boiler, you can trust that our HVAC technicians will deliver efficient, friendly, and professional service every single time. To learn more about our services for your HVAC system, please call our office at (720) 276-1403! We look forward to working with you and ensuring you have the very best heating and cooling for your property. AC Services That You Can Trust! If you are looking for quality air conditioning service for your home or business, call Green Tech Heating & Cooling today! We are able to provide services for installation, repair, and replacement for any type of AC system that you own. We work with a wide variety of HVAC brands, so whether you want to install a new air conditioning system or are looking to replace your AC, we are able to find the best air conditioner for your home or business. Give our heating and air conditioning company in Brighton, CO a call at (720) 276-1403 to set up an appointment AC services. Air Conditioner Replacement and InstallationWhen you need air conditioning replacement or installation, call our HVAC technicians. Air Conditioning MaintenanceTo prevent system breakdowns make an appointment AC maintenance today. 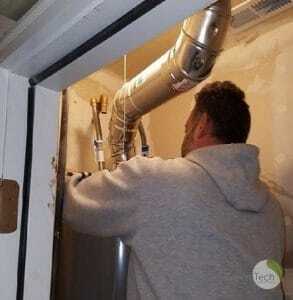 Air Duct Sealing, Repair & InstallationFor air duct sealing, repair, or installation, call Green Tech Heating & Cooling. Central Air Conditioning RepairLooking for repair service for your central air conditioner? We are able to help! Commercial A/C ContractorIf you own a commercial property and need HVAC services, we offer a wide variety of services. Refrigerant Recharge ServiceIs your air conditioner not producing enough cooling? You might need a refrigerant recharge service. 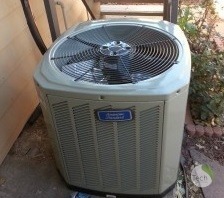 While we do install, repair, and replace central air conditioners, we also provide services for other types of ACs. Each person is going to have their own specific requirements in regards to what type of air conditioning system they want, which is why we offer other systems for our customers to choose from. Whether you are looking for something more energy efficient or need a mini split AC system, our HVAC technicians can install, repair, and replace a wide range of air conditioners. Energy Efficient HVAC SystemsWant a more energy efficient air conditioner? Call us today to find out about our selections! High Velocity Mini-Duct SystemInterested in a high velocity mini-duct system? Our technicians can install one for you. Mini Split AC SystemsTo have a mini split air conditioning system installed in your home or business, call us today. One of the most important things that we need every single day is clean air. We all know that the air outside can be polluted, which is why we seek refuge in our homes. Unfortunately, the air in our homes is not much better; the air we breathe in our homes can be just as contaminated, or more, than the air outside. In order to have cleaner and safer air, Green Tech Heating & Cooling is here to provide indoor air quality services. We are able to install systems that can filter out allergens as well as purify your air. Whole House Air Filtration SystemsWant to filter all the bad stuff out of your home’s air? We can install a whole house air filtration system in your home! Whole House Air PurificationTo guarantee you have the cleanest and safest air, invest in a whole house air purification system! Whole House HumidifiersTo avoid dry skin, as well as decrease colds and the flu, call us to install a whole house humidifier system. We Offer Quality Heating Service! If you live in the Brighton area, you know how cold the winter months can get. In order to stay as comfortable and warm as possible, it’s important to have a heating system in your home or business that works. Not only can Green Tech Heating & Cooling provide exceptional repair service for various heating systems, we can also replace heaters that don’t offer efficient heating or don’t heat at all. To get the best heating services, call our heating and air conditioning company in Brighton, CO at (720) 276-1403! We a ready to provide you with better heating for your home or business! Boiler Repair & ReplacementIf your boiler needs to be repaired or replaced, you can rely on our HVAC technicians to take care of you. Central Heating RepairWhenever you need central heating repair service, know you can always call on our heating company! Commercial Heating ContractorOwn a building the requires heating service? Our commercial heating contractors are here to help you. 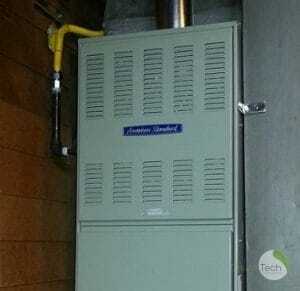 Electric Furnace Repair & ReplacementWether you need repairs or a replacement for your electric furnace, Green Tech Heating & Cooling has you covered. Electric Heat System RepairGet your electric heating system repaired by calling our heating technicians now. Gas Furnace Repair and ReplacementYou are able to get your gas furnace repaired or replaced when you call our expert and licensed technicians. Heating MaintenanceKeep your heating system in the best shape possible by getting routine maintenance. The HVAC industry has come a long way and doesn’t just offer systems like boilers and furnaces as sources of heating. Many people are always looking out for new alternatives to gas or want something that is more energy efficient and at Green Tech Heating & Cooling, we are able to help! Not only do we offer services for furnaces and boilers, we can also provide installation, repairs, and replacements for non-traditional heating systems. If this is something you are interested in, call us at (720) 276-1403 anytime! Geothermal Heating SystemInterested in a geothermal heating system for your property? Call us for installation service! LP Gas Heating SystemTo get services for an LP gas heating system, Green Tech Heating & Cooling can help. Oil Heating SystemsFor clients who want oil heating systems, contact our HVAC technicians today. We Offer HVAC Parts Replacement Service. In every air conditioner and heater, there are parts that help the system run as efficiently as possible. When one part becomes defective, it can affect the whole operation of the heater or cooling system. If your air conditioner or heating system is making weird noises or isn’t working like it usually does, call our heating and air conditioning company in Brighton, CO. We can inspect your HVAC system and figure out if the part can be repaired or if it needs HVAC parts replacement. Call us at (720) 276-1403 to get your HVAC system inspected today. AC & Heater Capacitors ReplacementIf you need your AC or heater capacitor replaced, please get in touch with us today. HVAC Blower Repair & ReplacementFor blower motor repair or replacement service, call Green Tech Heating & Cooling. HVAC Circuit Board ReplacementGreen Tech Heating & Cooling is able to provide replacements for your circuit board. HVAC Relay ReplacementHaving issues with the AC or heater relay? We are able to replace it! HVAC Thermostat Repair, Replace & UpgradeOur technicians can repair, replace, and upgrade your home or business with a new thermostat. If you have concerns about the performance of your AC, we are able to repair! It might just need a simple repair, but other times there is a part in the air conditioner that needs to be replaced. 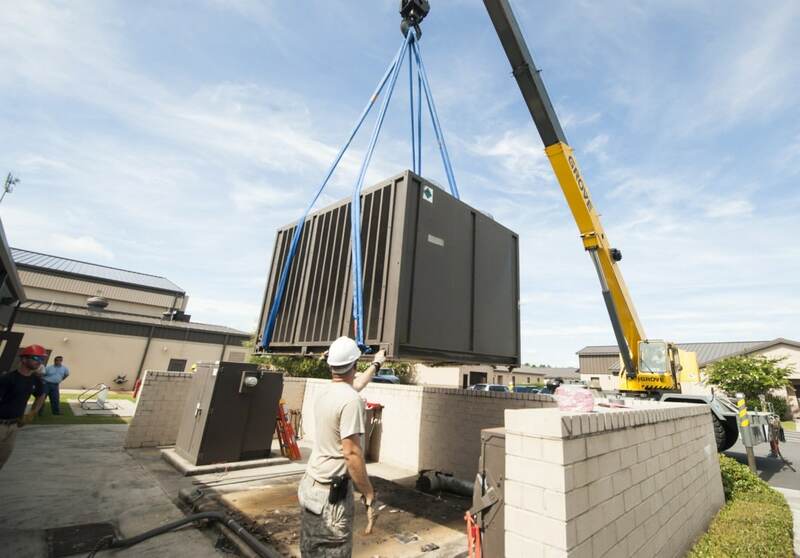 Every single part is important to the function of the air conditioning system, so we want to make sure we get it replaced as soon as possible so we can avoid a complete AC replacement. Get in touch with our heating and air conditioning company in Brighton, CO to get a replacement part for your AC. AC Coil Cleaning & ReplacementFor air conditioner coil cleaning and replacement service, call Green Tech Heating & Cooling. AC Compressor Repair & ReplacementGet your AC compressor repaired or replaced when you contact our professional technicians. Air Conditioner Fan Repair & ReplacementNeed repairs or a replacement for your air conditioner fan? We are here to help you out! Condenser Motor ReplacementCall our HVAC technicians today when you need affordable and effective condenser motor replacement. Heat Exchanger ReplacementEnsure you get the very best heat exchanger replacement service by calling our team now. HVAC Hard Start Kits ReplacementIf the hard start kit needs to be completely replaced, you can rely on our HVAC technicians. If your heating system isn’t providing the best heat or won’t turn on at all, it’s important to call us immediately. We are able to take a look at the heating system and determine what part is causing the issue. From there, we can replace it with a brand new part, so your boiler, furnace, or other heating system is working like it should. Call us at (720) 276-1403 to make an appointment with our heating and air conditioning company in Brighton, CO.
Gas Valve ReplacementFor those times when you need a gas valve replacement, please call our HVAC contractors. Heat Pump Repair & ReplacementWhether you need heat pump repair or replacement service, you can depend on our services. HVAC Hot Surface Igniter ReplacementGet reliable and efficient replacement service for your hot surface igniter. HVAC Inducer Motor ReplacementIf there are issues with your inducer motor, you can call on our professionals to replace it. HVAC Pressure Switch ReplacementCall our HVAC contractors whenever you need expert pressure switch replacement service. Get Commercial HVAC Services Through Green Tech Heating and Cooling! Not only do we offer residential HVAC services, we also offer commercial HVAC services. Residential and commercial air conditioners and heaters are quite different, so it’s important that you hire a company who has the knowledge and skills to repair, replace, and install commercial HVAC systems. Fortunately, our heating and air conditioning company in Brighton, CO, can provide services for both residential and commercial heating and cooling. Call our technicians at (720) 276-1403 when you need services for your commercial AC, furnace, or boiler! Typically, when something is wrong with your commercial air conditioner, you will see an increase in energy bills, the system will make strange noises, and you won’t get adequate cooling. If you are dealing with a defective air conditioner, call us today! We can come out and provide you with a comprehensive inspection of your commercial AC. If we find any issues, we will be able to repair them right away! Because it doesn’t get quite cold in the winter, it’s important that your heating works in your building. You want to ensure your employees are comfortable and warm and that your productivity isn’t in jeopardy. If you think your commercial boiler or furnace needs repair service, you can rely on our heating and air conditioning company in Brighton, CO! Our HVAC technicians have the training and skills to locate the problem and have it fixed that same day! Maintenance for AC, Boiler, Furnace, and More! One of the best ways to guarantee that your commercial AC, boiler, or furnace is in excellent shape is by investing in routine maintenance and cleaning. Both cleaning and maintenance are critical to the performance and well-being of your commercial HVAC system. When maintenance or cleaning is neglected, you will see a decline in how your AC or heating system functions. Luckily, we not only provide repair, replacement, and installation service, we can also clean and maintain your commercial HVAC system. Call (720) 276-1403 today to schedule your appointment! With our heating and air conditioning company. Share Green-Tech Heating & Cooling!